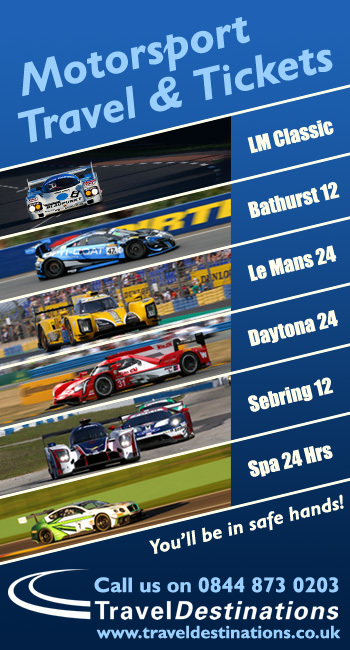 Daytona 24 race week starts here! 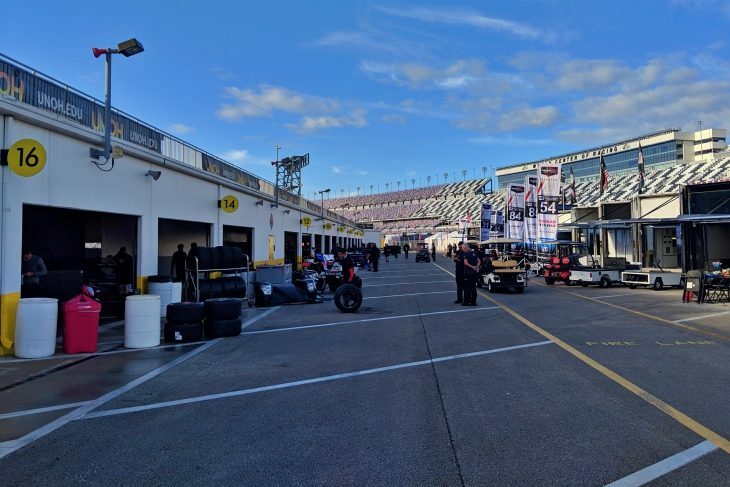 The DSC editor took a stroll down pit lane after the official grid photo at the 2019 Rolex 24 Hours, and captured every car from every class in attendance at the opening round of IMSA’s 50th Anniversary season. Juncos Racing driver Will Owen caught up with DSC earlier today, and explained his decision to make the switch from full-time ELMS to IMSA. 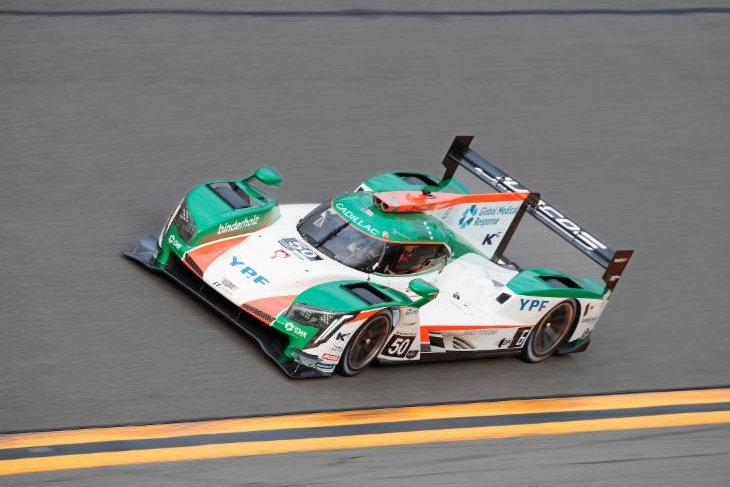 The young American will race in DPi for the first time this year with the Juncos team, which is also new to racing in IMSA full time. Because of his commitment to the team’s Cadillac programme, Owen says he’s not actively searching for a ride in Europe. 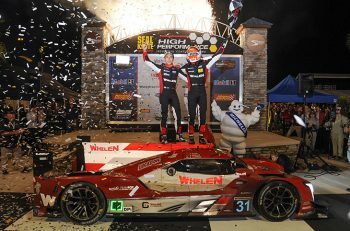 “Both ELMS and IMSA are tough, but there’s different lessons to learn in IMSA,” he said. “There’s a lot more moments on track, where you have cold tyres, you’re doing a restart and you have cars all around you. I wouldn’t say one or the other is easier, but in IMSA you’ve got a lot of pressure as a driver. That’s a skill I’m ready to learn. “I haven’t really thought about racing in Europe as well in 2019, after this race maybe I’ll take a look. But more f a teams needs a driver I’d love to do something in Europe, but I’m not focused on a full-time drive there. I want to give my all to the Juncos programme. A lot of pro drivers run two programmes, but for me right now that would be too much. One day I want to be at that level. You’ll hear more from Owen as part of a feature on Juncos’s IMSA programmce in the coming days on DSC. 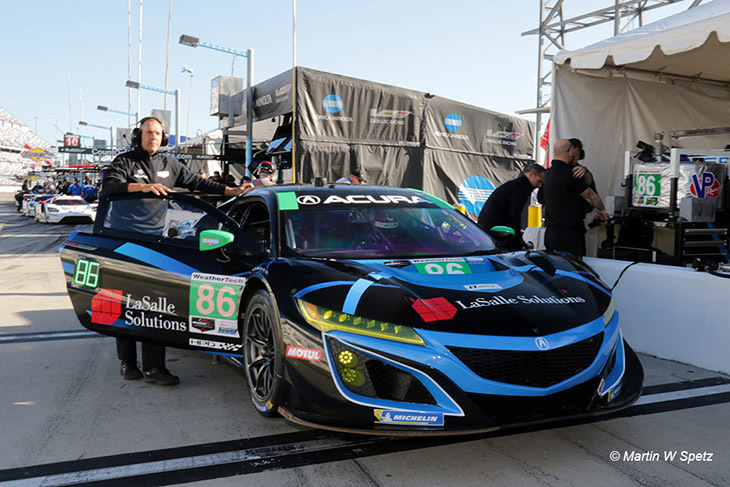 Michael Shank Racing feels confident that his MSR Acura NSX GT3s will be in the mix come race-time here in Daytona this weekend, carrying on its form from the Roar in which its CAT-liveried NSX topped the times in GTD Qualifying. 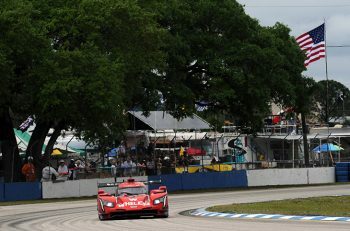 Shank says he feels the lack of BoP changes across the board in GTD before race week from IMSA, and the way the race is set to be goverened, is all positive. “We have this box we’re living in now,” he said to DSC. “At the Roar we all established times, good, bad or indifferent. If anyone of those manufacurers exceeds the permameters of that box, they’ll recieve an Attachment 2 penalty, which means in the race weekend if you exceed what the balance was at the Roar, you get sat down in the race, they black flag you and you sit in your pit box for five minutes. That I really like. Ebimotors has completed its driver line-up for the 2019 Rolex 24 Hours, with Emanuelli Busnelli, Taylor Proto and Giacomo Altoe joining the previously confirmed Italian veteran Fabio Babini. Team regular Busnelli, the 2017 Le Mans Cup GT champion, joins the Italian outfit for his third Rolex 24 Hours, while 21-year-old Britain Proto (multiple Super Trofeo title winner) and 18-year-old Italian Altoe (2018 Lamborghini Super Trofeo World Final winner) will make their IMSA debuts this weekend. RACER.com’s Marshall Pruett has produced a great video with BMW Team RLL’s Alex Zanardi, with him explaining how his hand controls work in the M8 GTLM. Acura Team Penske will be splitting its cars on the pit lane. 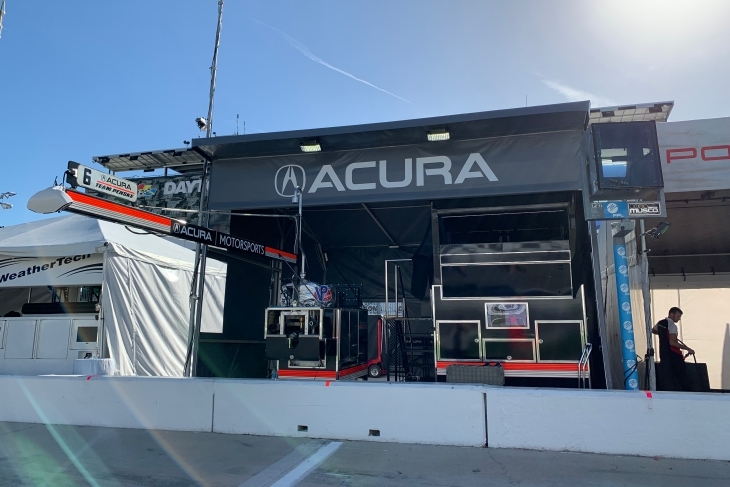 Contrary to most multi-car efforts Penske will not have its #6 Acura DPI and its #7 Acura DPI next to each other on pit lane. This is done usually to prevent the cars from interfering with each other if they are on the same strategy and have to pit at the same time. Team Penske is the only two car entrant to use this strategy. Mazda Team Joest, who qualified first at the Roar, got the first choice of pit boxes. The team opting to take the first two spots upon entering the pit lane. This was the same pit box that was used by the Action Express Racing crew when they won last year. As IMSA celebrates its 50th year of competition, Magnus Racing released a video ahead of its 10th season of competition. 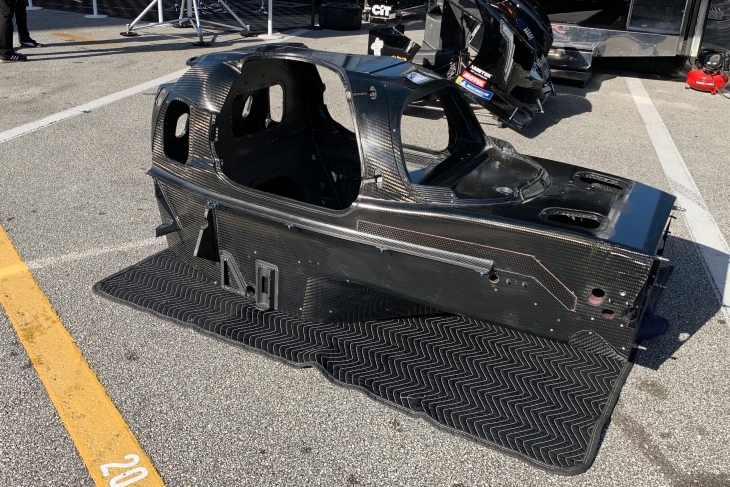 A spare Cadillac tub was spotted in the paddock outside of the #10 Wayne Taylor Racing Cadillac DPi-V.R. Hopefully the team won’t be having to use it this week, but if needed it’s on hand. 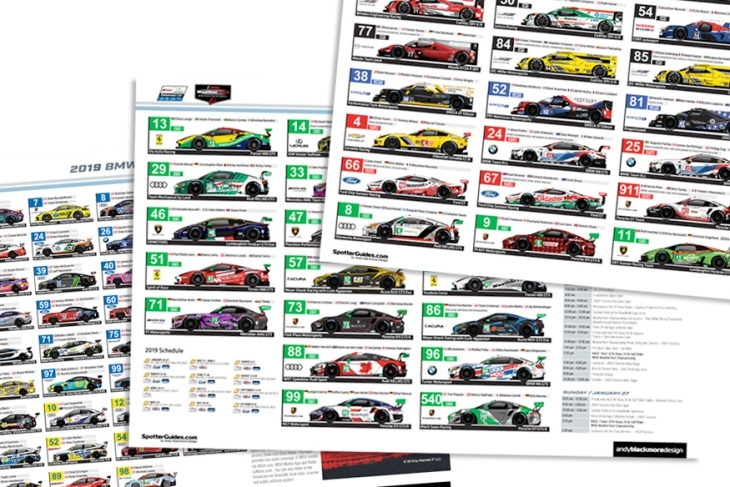 Andy Blackmore’s stunning 2019 Rolex 24 at Daytona race week spotter guide is now available HERE and the events section of IMSA.com.